With research as the guiding tool, Painted Dog Research Trust is dedicated to the conservation of the highly endangered Painted dog also known as the African wild dog. This work has been ongoing for 25 years by the founder Dr Greg Rasmussen, thus making it one of the longest studies into the species. The mission of the Painted dog research trust is to both continue with research into the highly endangered painted Dog and build for the future of conservation by meaningfully incorporating Zimbabwean graduate students to build local capacity and tomorrow's conservationists. To achieve this goal it is also essential that Zimbabwean graduates are both mentored, given appropriated training and opportunities, as well as financial support. With the pan-African population declining from half a million individuals – down to 5000 the Painted dog listed by IUCN as highly Endangered. 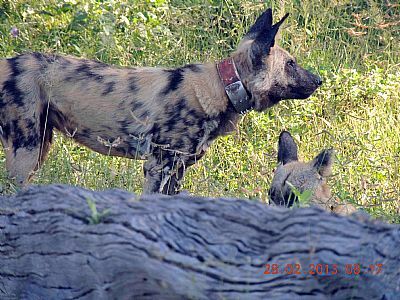 Painted dog populations in Zimbabwe link to all five neighbouring countries Namibia Boswana, Zambia South Africa and Mozambique thus making Zimbabwe an important keystone populations for this species. In order to maintain integrity of the Zimbabwean and other country populations, it is essential research into Painted dogs continues unabated, with continuation of the long-term research and monitoring being focal to continued survival of painted dogs in Zimbabwe. 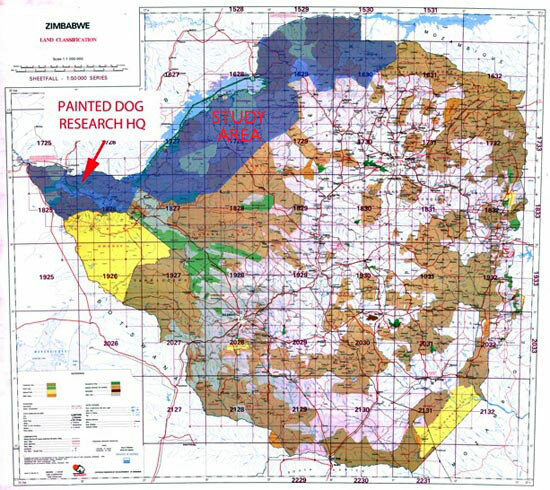 Painted Dog Research is based just outside Victoria falls and situated in a landscape mosaic of National parks, forestry, private safari area, and communal lands where it is intended stakeholder benefits will accrue. With trans boundary initiatives being focal to conservation and as painted dogs know no international boundaries, the work will extend along the width of the Zambezi from Botswana Zambia and Namibia to Mozambique and share knowledge with these important range states.